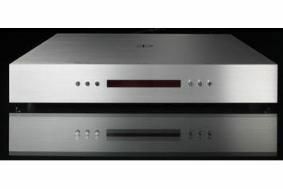 Densen takes its FM tuner to a third generation | What Hi-Fi? The B-800 Mk3 has extensive revisions said to give "an even more transparent and dynamic sound than the older incarnations, while preserving the strong detail level, precise soundstage, and generally musically performance." The front end of the tuner is a completely new design, hand calibrated in the factory, and able to be calibrated by the user in two steps to match it to prevailing reception conditions. It's possible to adjust the search level to choose the minimum level of signal quality of stations at which the tuner should stop, and DX/local adjustment and gain level on the frontend's input. This section is also encapsulated to avoid interference with the audio circuits. The power supply uses a custom-made transformer and Densen's own capacitors, and the tuner can be further upgraded with the addition of the company's DNRG offboard power supply. There's also the potential for the tuner to accept a DAB module, but at the moment the company isn't implementing this, "since Densen Head Honcho Thomas Sillesen simply thinks DAB sounds too poor."